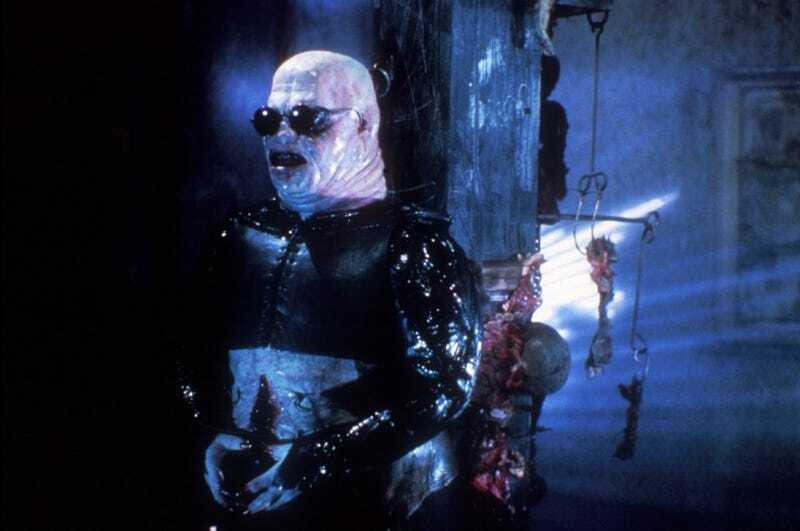 Hellraiser has been trying to come back from the dead for years. But now that Clive Barker has signed on to reboot the whole series will the franchise find new life? Or should Dimension Films just stop trying to make Hellraiser happen? Original writer and director Clive Barker announced on his Facebook that he is back working on the scripts for the Weinsteins. He even wants to bring Doug Bradley back as Pinhead. The new reboot will allegedly be "darker and richer" than the original. On the positive side, Barker promises that the movie will not be cluttered with CGI, and he promises practical make-up effects. I just hope it has cenobites with sunglasses, a coherent plotline and an R rating, or no deal.